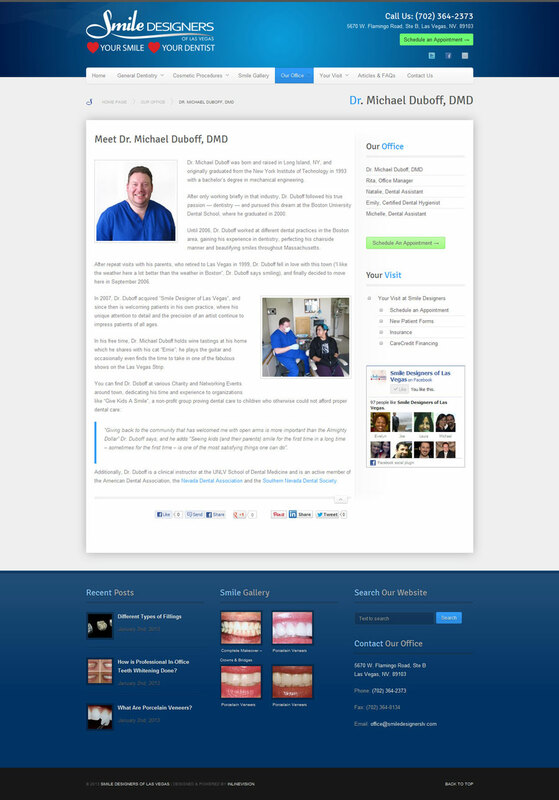 For the redesign of smiledesignerslv.com we created a very modern and clean looking design to allow the visitors to focus on the medical and aesthetic advantages of becoming a patient of Dr. Michael Duboff. We designed a highly optimized, responsive website, allowing everybody to access all custom features on any and all mobile devices, from iphone and ipad to all android smartphones and tablets – for a true mobile experience. 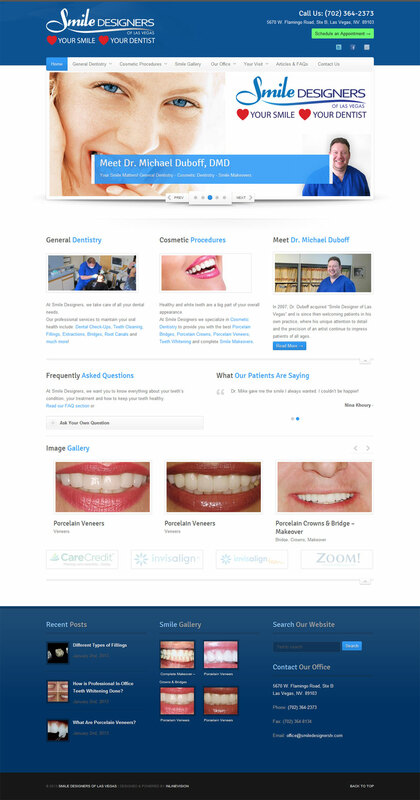 The “original” version was a Flash page, which made the complete website virtually invisible to Search Engines, hence making it impossible for potential patients to find Dr. Duboff and his practice on the web. The content was full of grammatical errors, and the lack of interactive elements and compelling content made it a very poor experience. 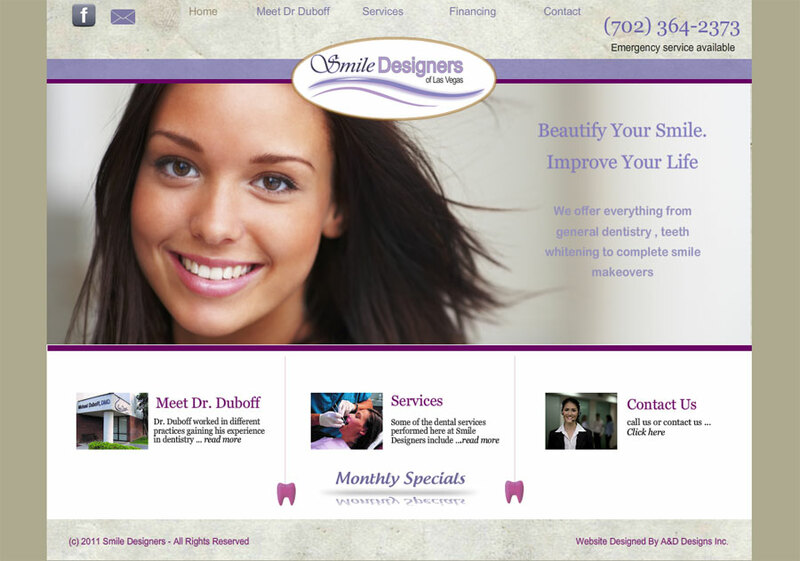 We focused on highlighting Dr. Duboff’s outstanding capabilities as a cosmetic dentist by implementing a “Before and After Smile Gallery”, showcasing real patients and real results. 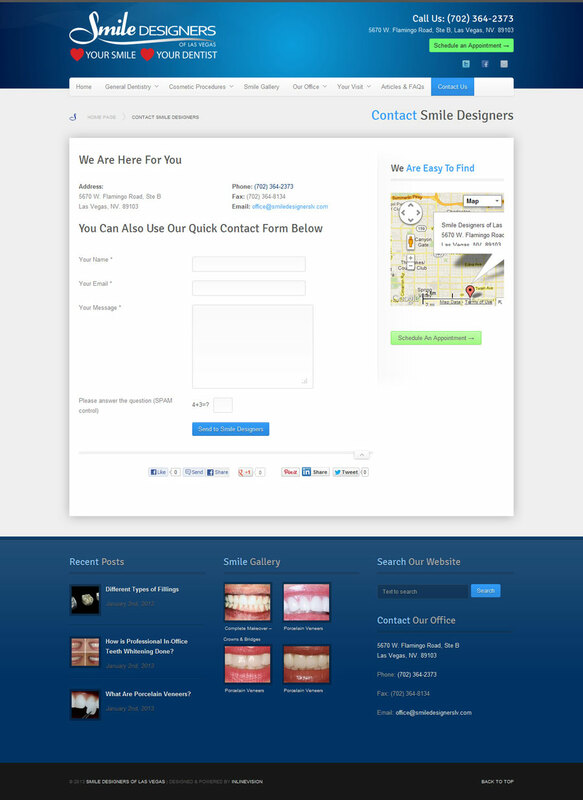 From simple in-office teeth whitenings to amazing full Smile Makeovers, pictures always say more than a 1000 words. 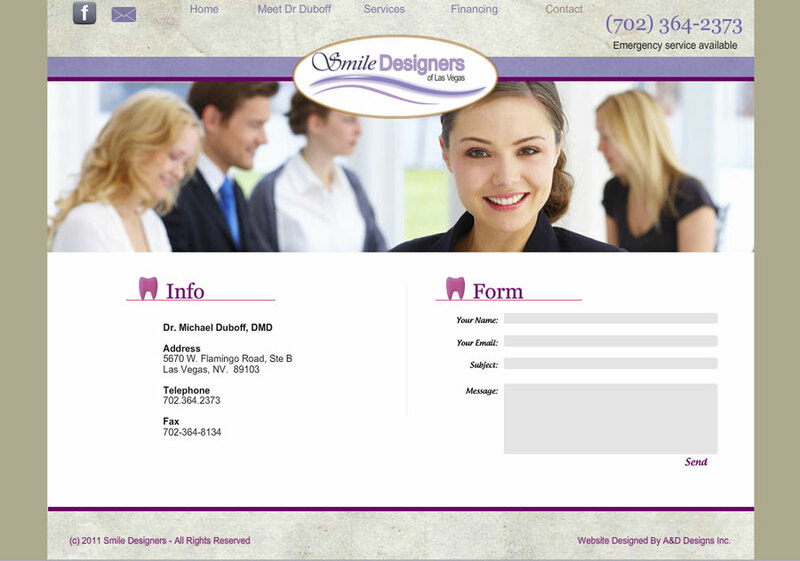 We digitized the new patient intake forms, making them downloadable, interactive and fillable. We added an “Ask the Doctor” feature – allowing everybody to submit their questions directly to Dr. Duboff (and getting answers). Healthy and white teeth are a big part of your overall appearance. 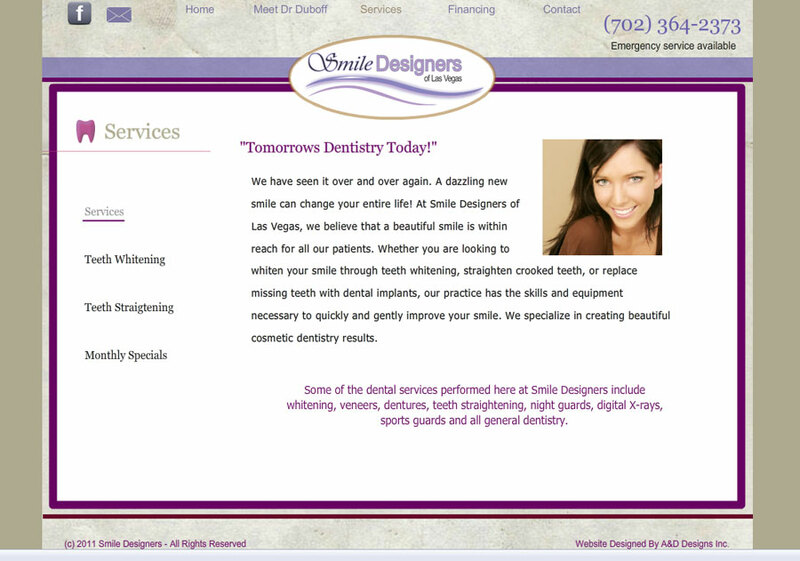 At Smile Designers of Las Vegas, our passion is Cosmetic Dentistry to provide you with the best Porcelain Bridges, Porcelain Crowns, Porcelain Veneers, Teeth Whitening and complete Smile Makeovers. 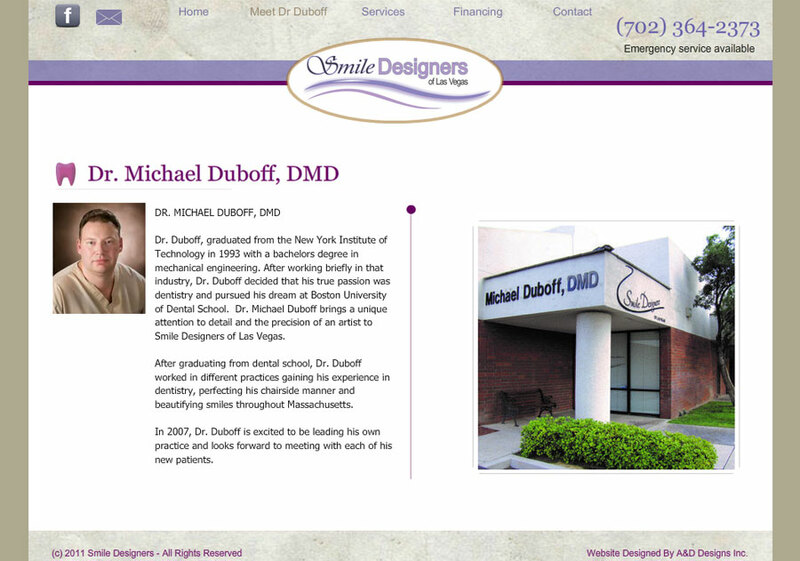 In 2007, Dr. Michael Duboff acquired “Smile Designer of Las Vegas”, and since then is welcoming patients in his own practice, where his unique attention to detail and the precision of an artist continue to impress patients of all ages.